Today is a crappy day. Everything was in a disarray from the time I left the house to the documents and papers that needs to be done. Being in private practice has its perks and downsides. Anyways, as much as I want to vent out my frustrations of being a lawyer here on my blog, I decided to keep this space a happy one. Kaya nga my lucid intervals eh. Let us not talk about work but let me talk about y latest organic find. Last Saturday, I visited the Zenutrients and bought a few stuff. One of the products that I have been eyeing from this brand is this VCO Makeuup Remover. I just finished my huge tub of Nature Republic Aloe Cleansing Cream that I bought way back in November in Korea. I really wanted to try oil based makeup removers but most of the ones I like to try are quite pricey like the Shu Uemura Cleansing oil. I bought this makeup remover because it is priced at 166.40 Pesos for a 100ml bottle. I prefer using it with a cotton pad. How do I use it? I pour two -three drops of VCO on the cotton pad and press it gently on my lid (first). I first start cleaning my face by my removing eye makeup before anything else. Another way of removing makeup with the use of Oil makeup remover is by massaging a few drops of VCO on the face then wiping it off with cleansing wipes, cotton pad or dry facial tissue. This Virgin Coconut Oil Makeup Remover is really good. As in really good!!! It melts my waterproof mascara very well and easily removes my waterproof liner too. I love makeup removers that immediately removes eye makeup because there is lesser chances of tugging and rubbing the eye area. We all know that the eye area is very sensitive and too much tugging/rubbing can immediately cause wrinkles. The consistency is not too thick and sticky. For an oil, I find it light enough and it does not feel too greasy compared to the other VCO that I have tried. This has a very subtle fresh scent. (Thank heavens). Most VCO smells like coconut which scent is something I am not very fond of. This did not cause me any irritations or breakouts. I find it to be very gentle because it does not sting my eyes/face, does not blur my vision nor make my eyes watery. 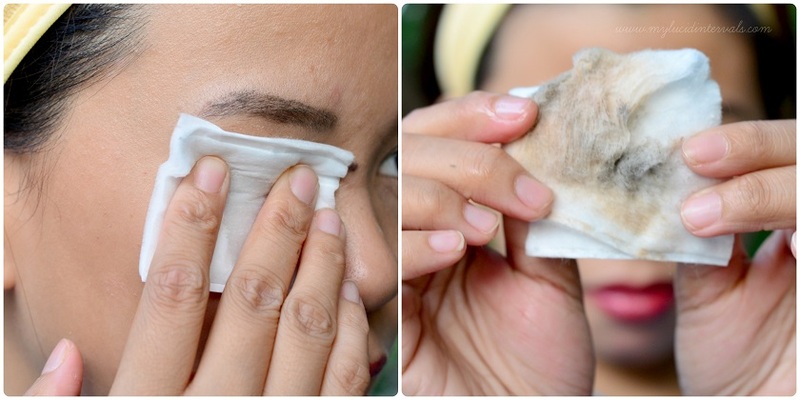 Just make sure not to dampen the cotton pad too much or else the excess oil will enter your eyes. The greasiness will be gone after I washed my face with soap and water. To ensure that there will be no oil left on the skin, I finish off wiping my with a cleansing wipes then I proceed to wash my face with soap and water. This is 100% free from harsh chemicals and is proudly made in the Philippines. I will definitely repurchase this Makeup Remover! Zenutrients is available at leading department stores like Landmark and Robinsons. does it leave greasy feeling afterwards? i really do have an oily face so im not into oil as makeup removal. I want to try this out too! It really seems a good one to try out. Coconut oil is definitely a great way to remove make-up, cheap and super effective and not to forget the added benefits of coconut oil..
vco does a lot of wonders! Wow! thanks for this review. I am currently using mine and it is expensive. I will try it next week.